Modern medicine has conducted an in depth study on the composition of practically all the food items and has derived le amount and percentage of proteins, fats, carbohydrates, Vitamins and minerals in every food item. 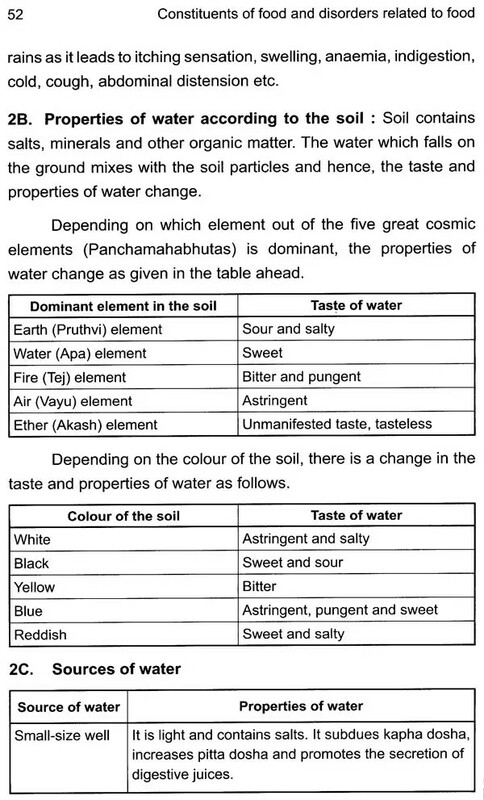 It describes in detail le functions of these components and the effects of their being deficient or in excess. It also gives guidelines to make me's diet a balanced one. Ayurveda describes the effects of various biological properties of food like cold, hot, warm, heavy and light and their action on the human body. 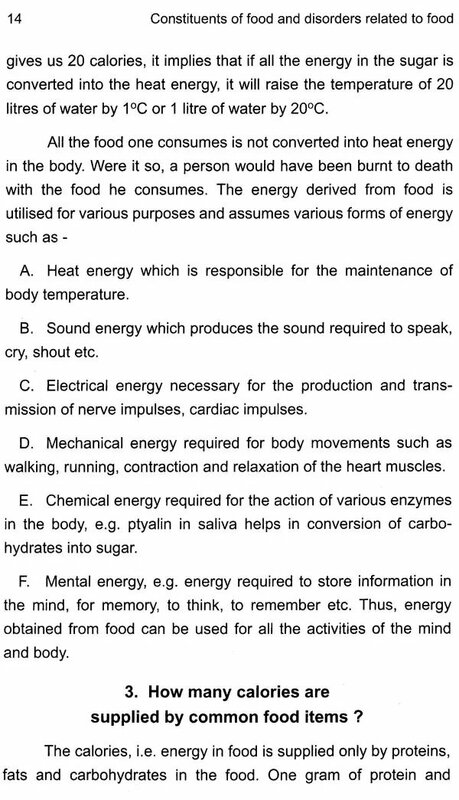 It elucidates the effect of the taste If food on the body and the mind. 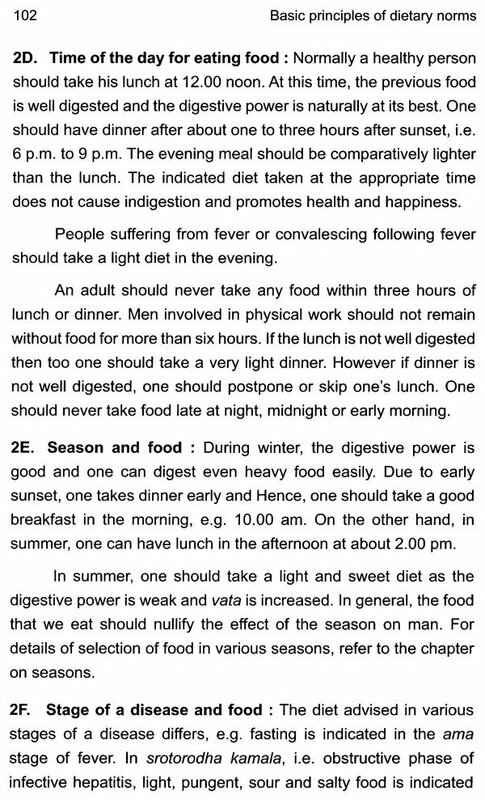 It gives guidelines to adjust me's diet as per one's constitution, season, age etc. It gives in detail the effect of every food item on various tissues and organs of the body and describes dietetic incompatibilities. It also enlists in detail the list of food items which are beneficial)r harmful in various diseases and how one should vary the diet in the different stages of the disease. 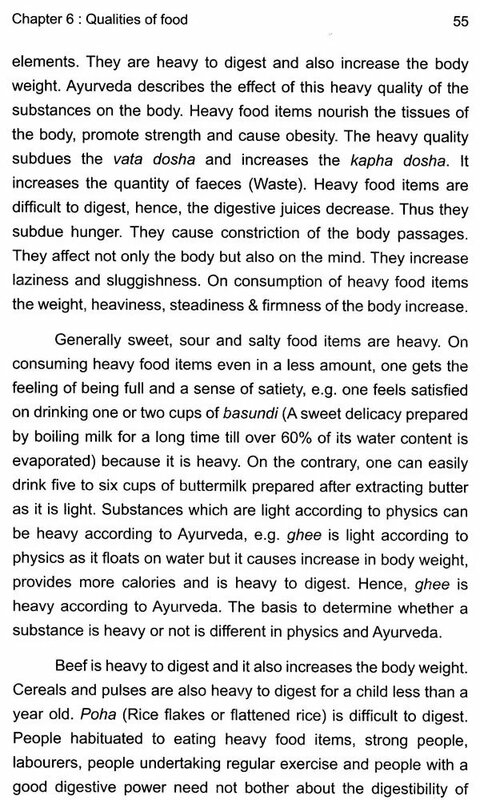 Ayurveda emphasises on the importance of following the recommendations and restrictions of diet as advised by the physician in various diseases. Ayurveda gives details of the arrangement in the kitchen, the arrangement of food items in a dish and emphasises on the importance of hygiene. It also describes how one should serve the courses of food and the rituals one should follow before, during and after meals. Ayurveda states that one should not indulge in eating tasty fishes. Food should be selected after considering its qualities and considering one's age, constitution, digestive power, the season etc. 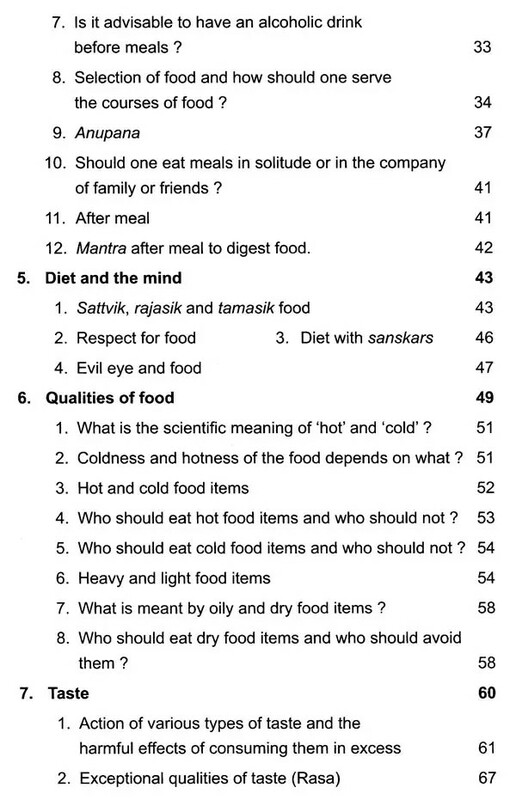 Based on the effects of food on the mind, Ayurveda classifies food into three types - sattvik (Sattva-predominant) food which promotes good qualities, rajasik (Raja-edominant) food which stimulates emotions and tamasik (Tama-predominant) food which results in laziness and lethargy. Ayurveda emphasises that one should never criticize food and should eat it with respect by giving due attention to its taste and aroma. 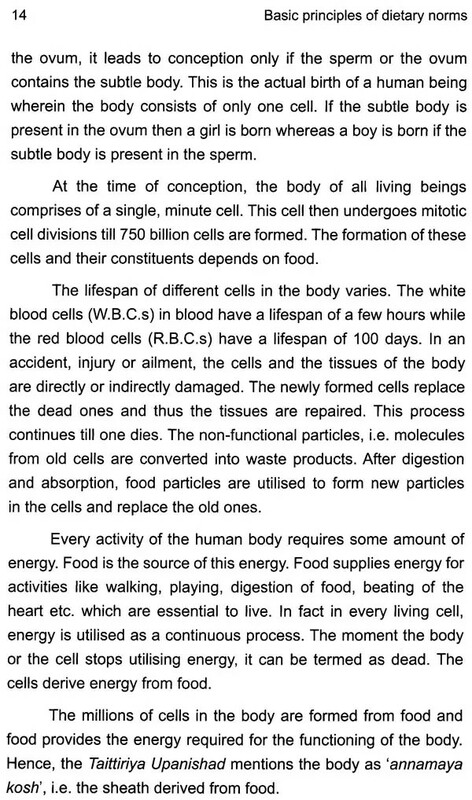 Our life activities as well as our energy, strength, intelligence, memory, lustre of the skin etc. depend on food. It is important to maintain the body strong & healthy by consuming an appropriate diet so that one can enjoy the worldly pleasures by following the rules of Dharma (Righteousness) and undertake spiritual practice to attain Moksha (Final Liberation), which is the state of eternal Bliss. As food helps one attain eternal Bliss, food itself is considered to be 'Brahman'. This book will prove useful to everyone including students and physicians. 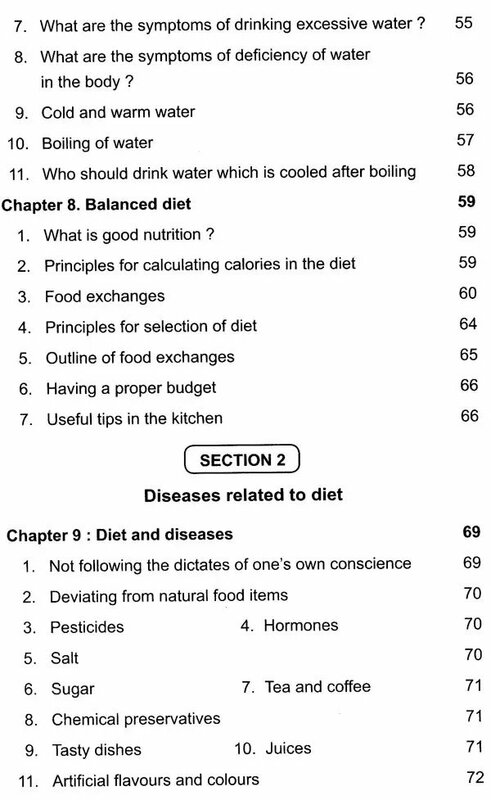 By studying and following the guidelines given in this book, everyone can enjoy a long, healthy, useful and happy life. Shri Vishnu is the Deity which controls the production, digestion and utilisation of food. We pray unto Shri Vishnu to bless everyone with a divine life. 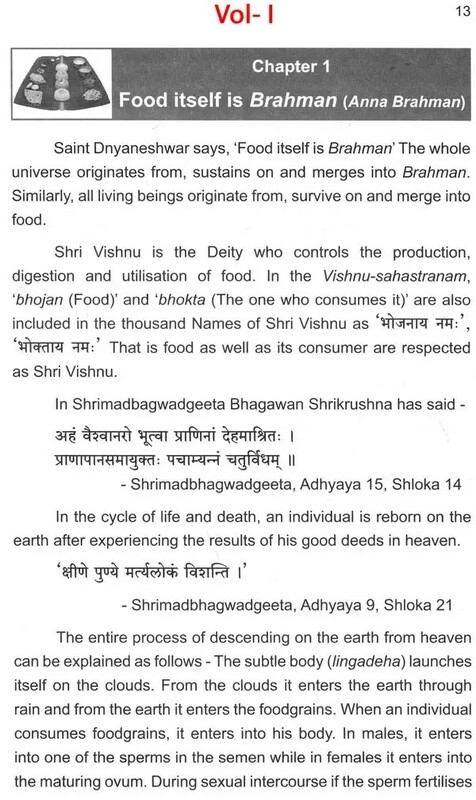 Hindu Dharma considers food to be Divine. आहिन्यते अन्ननलिकादिभि इति आहार, meaning, whatever goes to the stomach through the food pipe etc. is known as 'diet'. To help the body function properly, 'diet' is a very important aspect. Every medical science looks at 'diet' from a different perspective. 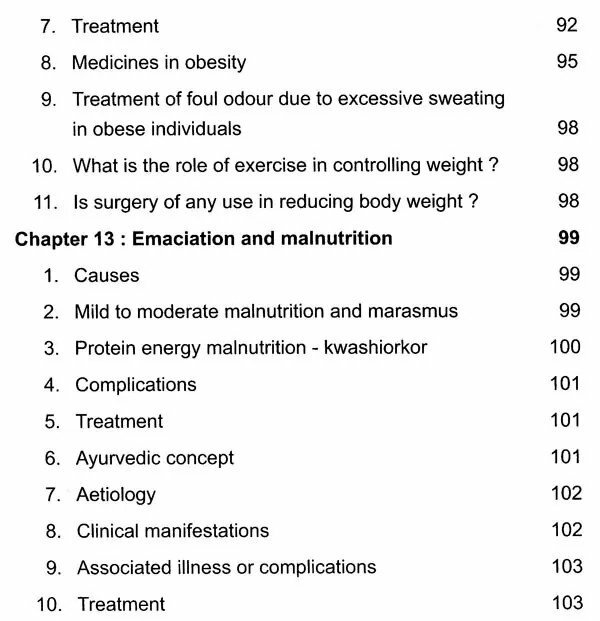 In the first 3 texts of this series, we understood le perspective of Ayurveda on diet and partial points from the perspective of modern medical science. In this fourth part of the series, we will obtain information In the detailed analysis of 'diet' and some related diseases. 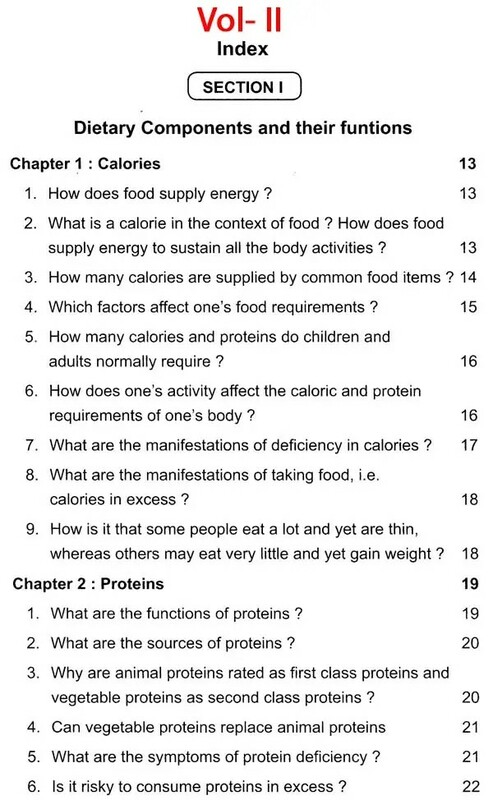 To obtain complete information on 'diet', please read all the 4 Volumes in this series. Detailed information is provided on the analysis according to modern medical science on the constituents of the body and diet, such as proportion and function of proteins, fats, carbohydrates, vitamins, minerals and water. Details have also been provided on the harmful effects of consuming more or less of these items, what is a balanced diet and in what proportion should we consume it. 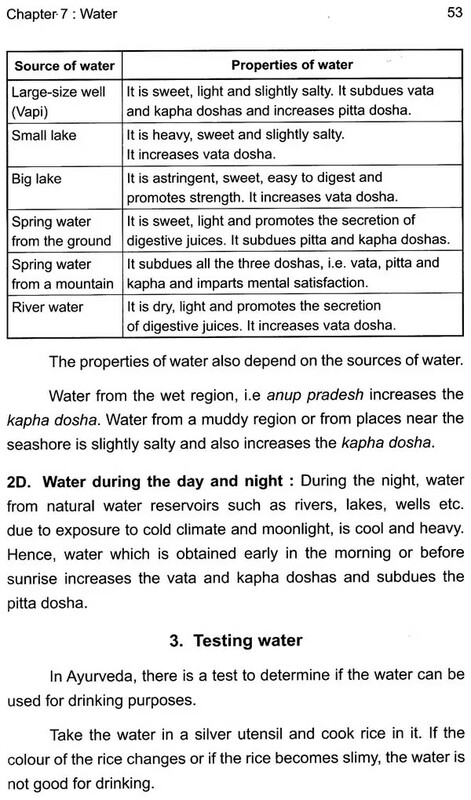 Information in this text will not only be useful for Vaidyas, Doctors and students, but also for every individual. Bhagawan Vishnu is the Deity of nutrients in the diet. We earnestly pray at the Holy feet of Bhagawan Vishnu - 'May everyone get good quality food and progress physically, psychologically & spiritually and experience the taste and Happiness of Divine nutrients in food'. The word 'Ayurveda' means the 'Veda of life', i.e. knowledge about life. 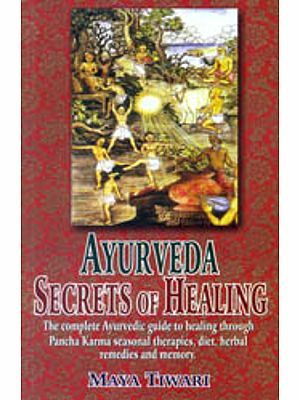 Sages like Charak and Sushrut have always insisted that whatever information and knowledge are available for a useful and happy life should be incorporated in Ayurveda. All medical sciences should be considered as branches of Ayurveda. 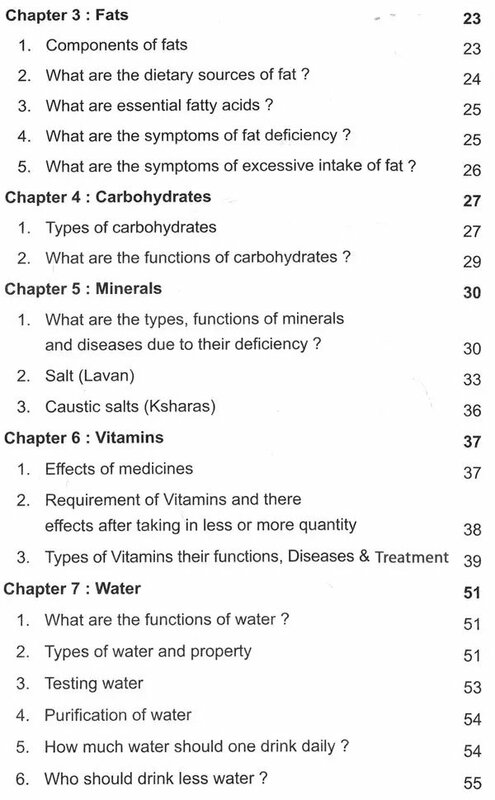 Modem medicine provides detailed information on the functions of proteins, fats, carbohydrates, vitamins, minerals and water and their quantity in every food item. 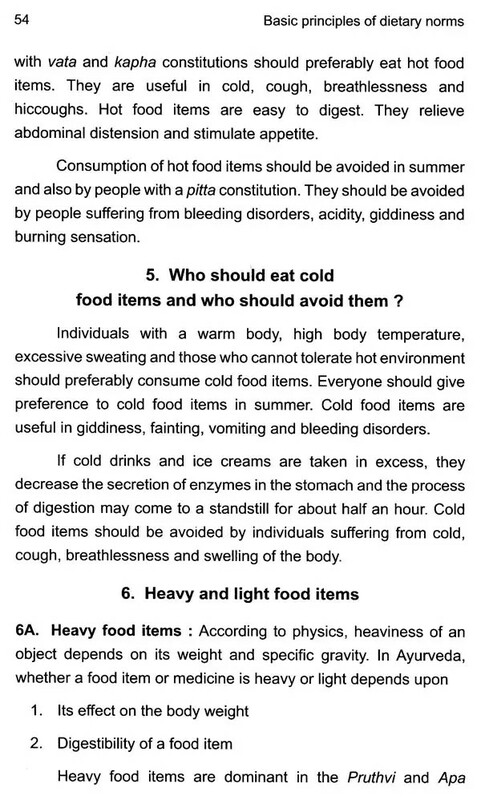 It describes in detail the ill-effects of consuming these food items inadequately or excessively. 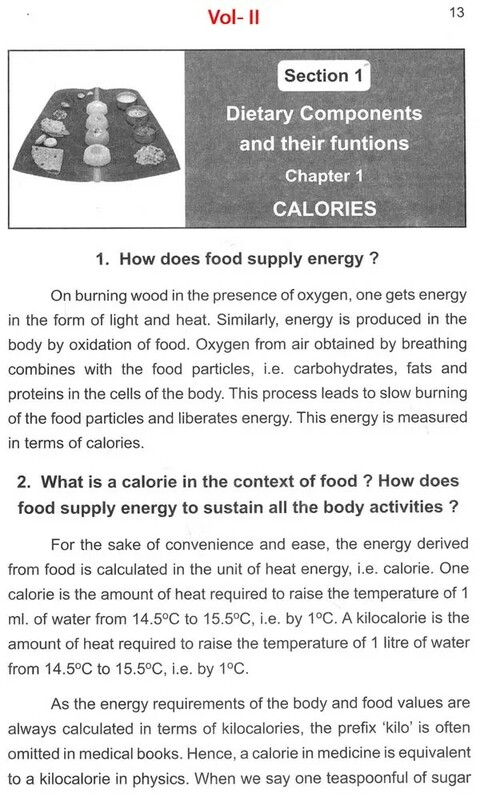 It also describes a balanced diet and the proportion in which various food items should be included in the diet. Ayurveda has described in detail how the ritual of eating should be, the effects of diet on the mind, qualities of food items and the effects of taste of food on the body. 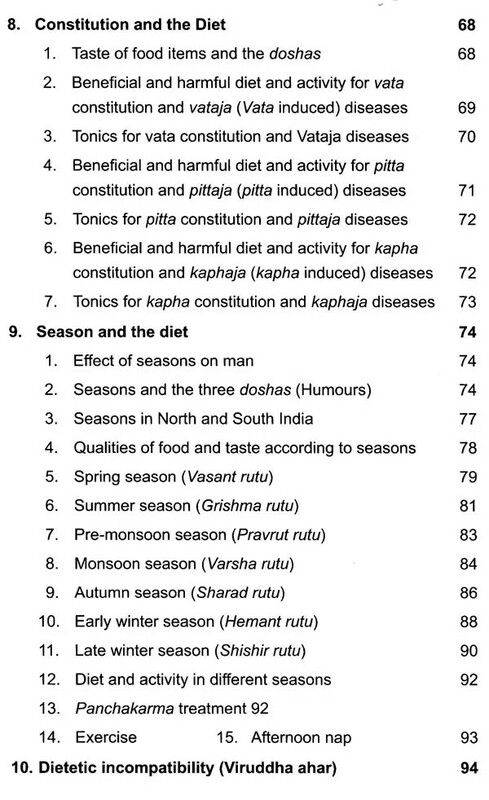 It also mentions how the diet should be adjusted according to one's constitution and the seasons. Ayurveda has also studied how ailments like indigestion occur due to not consuming an appropriate diet or consuming an incompatible one. Another special feature of Ayurveda is that it has studied in depth, the qualities of each food item and their effects on the three humours (doshas) namely, vata, pitta and kapha, tissues like body fluids, blood, etc. and organs like the heart, brain, etc. 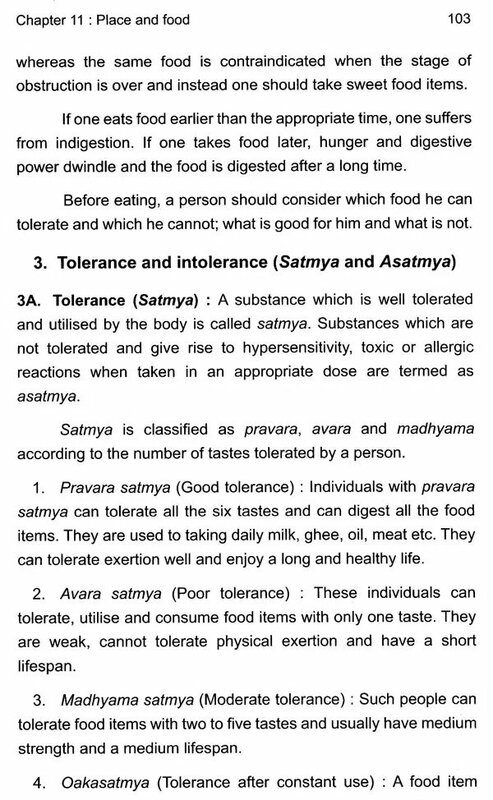 Ayurveda accords an equal or rather a greater importance to diet than medication in ailments; hence a Vaidya advises observance of dietary restrictions to maintain good health in every individual and to cure the patient. It emphasises that a patient may not take medication but he should certainly observe dietary restrictions. The reason is that one takes medicines in small doses of a teaspoonful or a tablet; however food is consumed in a large quantity. Since non-violence is important, religion preaches that 'one should not partake meat'. But the aim of Ayurveda is to maintain good health and to cure illnesses; hence Ayurveda allows consumption of meat. It states that a patient suffering from tuberculosis can consume meat of any animal. 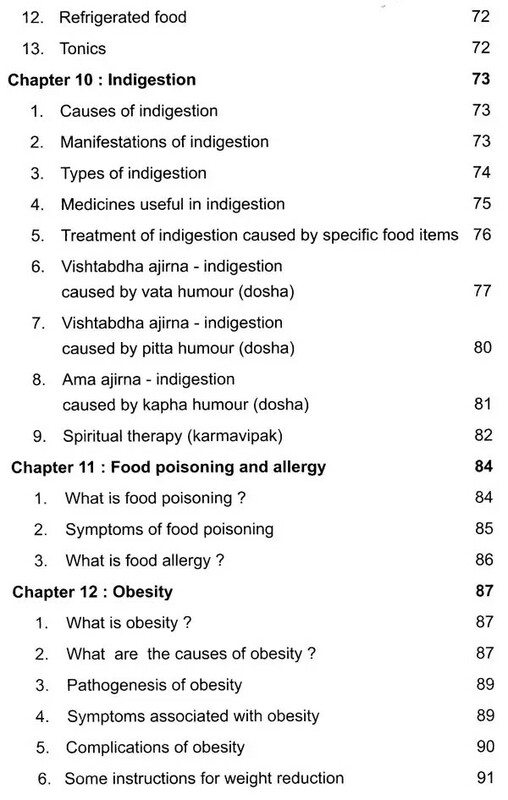 Ayurveda has classified food items and has stated the most beneficial and most harmful food item in each class. Ayurveda has also described the diet for the sense organs, mind and intellect. It gives the message of maintaining a healthy mind and a healthy body and attaining liberation from the cycle of birth and death by observing righteous conduct and following Spirituality to permanently rid oneself from all diseases and sorrow in this birth itself. To facilitate handling of this book, it has been divided into two volumes for the sake of convenience of the readers. The science of dietetics will be understood totally only after reading both these volumes. This book is useful not only to Vaidyas, doctors and students but to every individual. 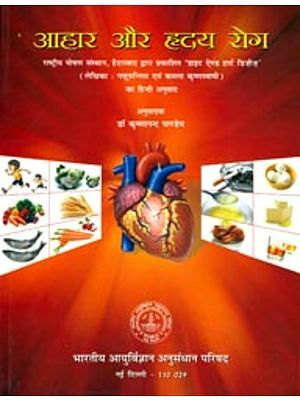 If one takes diet by studying this book, one can enjoy a long, healthy, useful and happy life. Lord Vishnu is the deity of food. We fervently pray unto Lord Vishnu to bless everyone with the best possible food so as to make physical, mental and spiritual progress and through it enjoy the Bliss of the divine nectar.